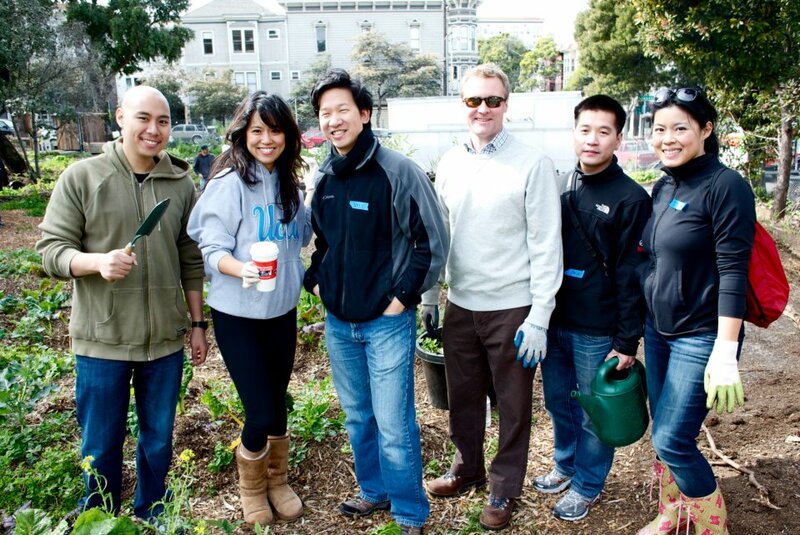 Help us kick off volunteering in 2013 by joining Boobs4Food SF at Hayes Valley Farm on Sunday, January 27th, 2013 12:00pm – 1:30pm. We are making it SUPER easy for you to volunteer this month, as no RSVP is required, just show up and bring a friend or two if you’d like! Of course, we’d love to know if we can look out for your beautiful smile at the farm. 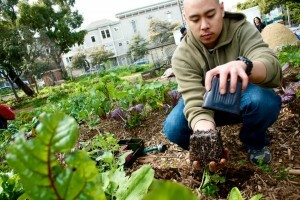 Urban Farming is F-U-N. We’ve learned quite a bit about urban farming & permaculture from our friends over at Hayes Valley Farm. Past tasks have included mulching, planting/replanting vegetation like fava beans, harvesting produce, painting & light carpentry/handiwork. Our dedicated volunteers L-R: Justin, Liberty, Nat, Brian, Phong & Jessica brave the SF cold and help plant Fava Beans and Chard at Hayes Valley Farm. For the 21& up crowd, we will head on over to Biergarten (weather permitting) after our shift for some food, drink & conversation. More information can be found at our Boobs4Food SF Jan2013 Volunteer Event Facebook Page. Feel free to post a message or just say hello!